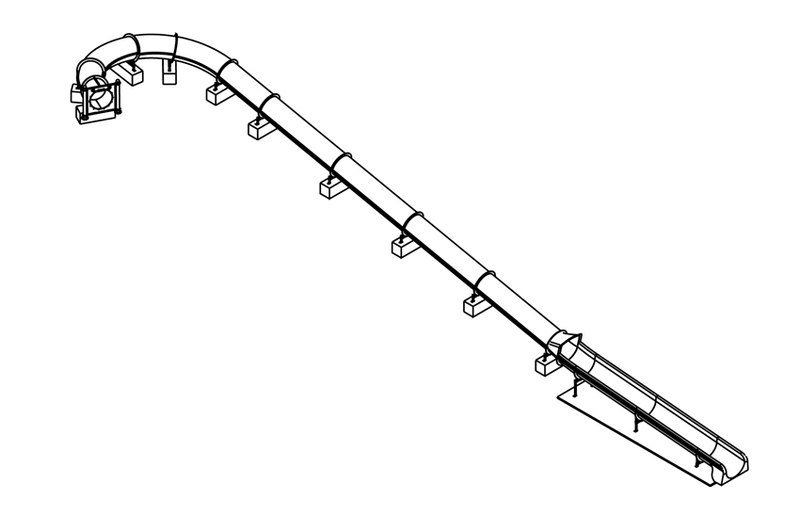 Description: Single 32" I.D. 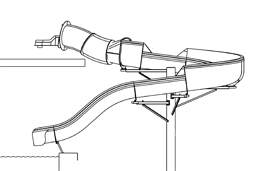 closed flume & 36" I.D. 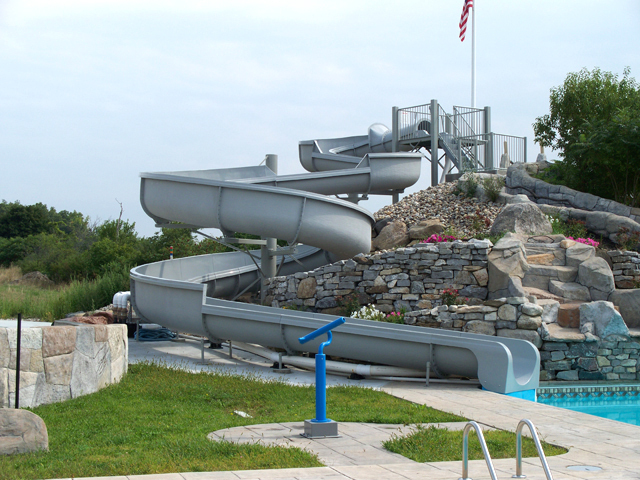 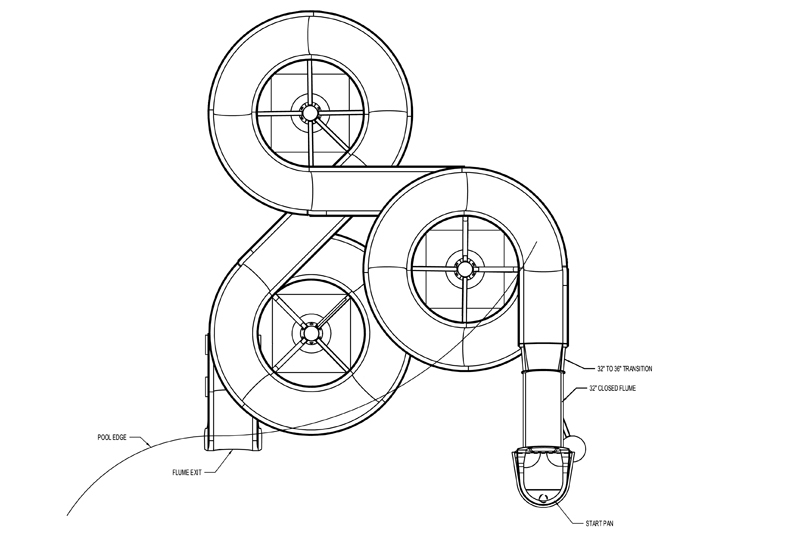 open flume fiberglass landscape slide featuring 90°, 180° & 360° curves. 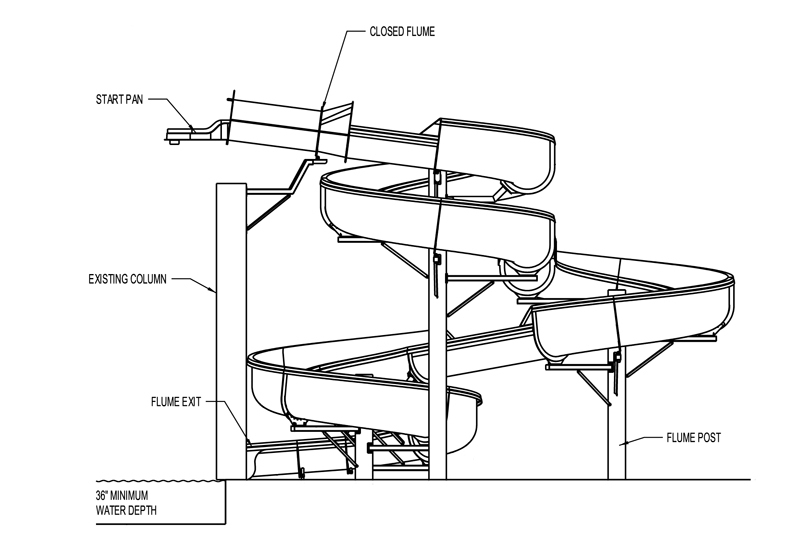 Space Requirements: 67' 9" x 41' 11" – Space requirements may vary with options chosen. Splash down dimension: 13' 0" x 20' 0"
Description: Single 32" I.D. 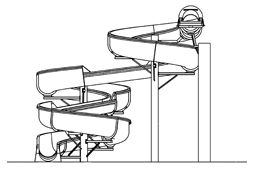 closed flume & 36" I.D. 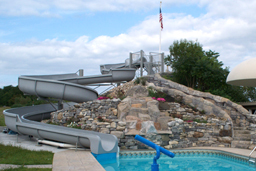 open flume fiberglass landscape slide featuring (3) 360° curves. 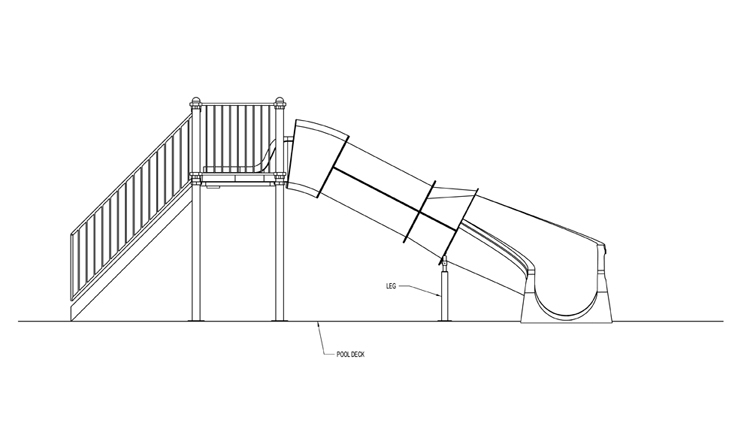 Space Requirements: 28' 2" x 38' 2" –May vary with options chosen. 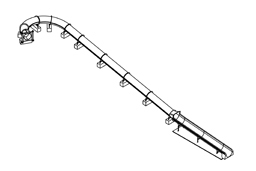 Description: Single 32" I.D. 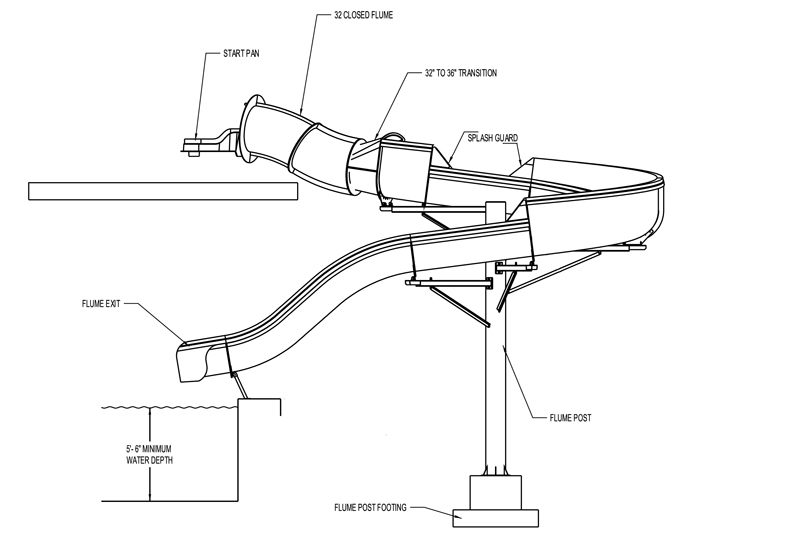 closed fiberglass flume & 36" I.D. 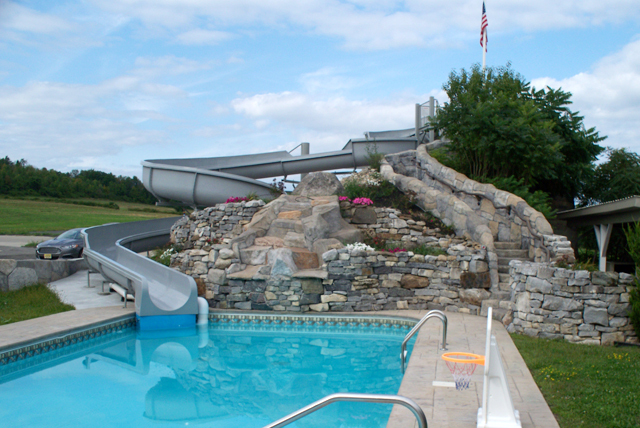 open fiberglass flume landscape slide featuring 180° curve. 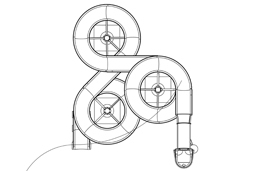 Space Requirements: 20’ 7-⅝” x 28’ 6-⅞” – May vary with options chosen. 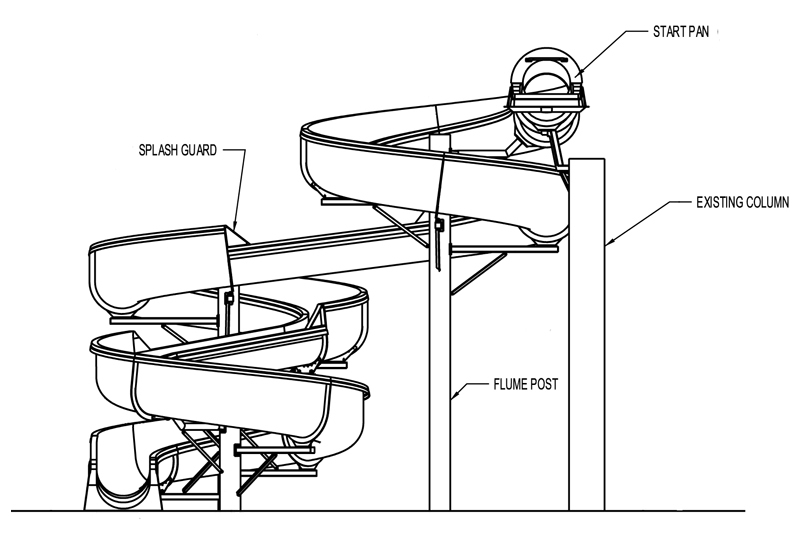 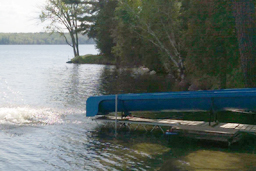 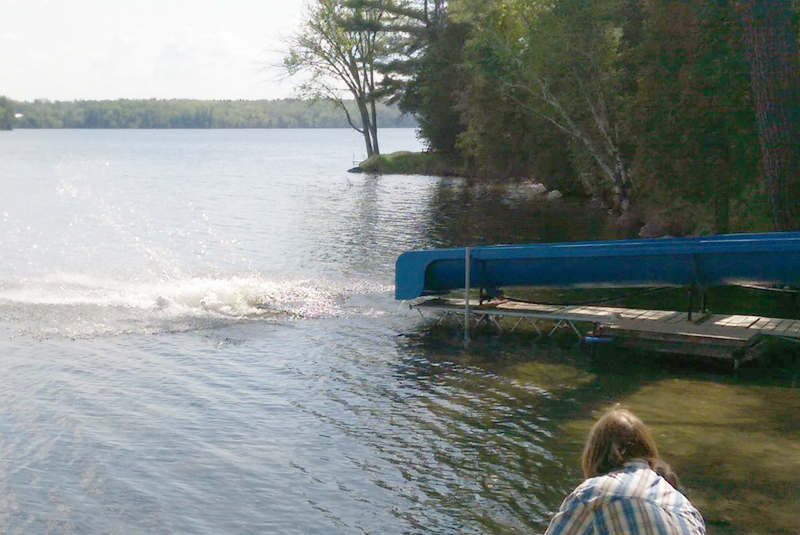 Splash down dimension: 10' 0" x 20' 0"
Description: Single 32" I.D. 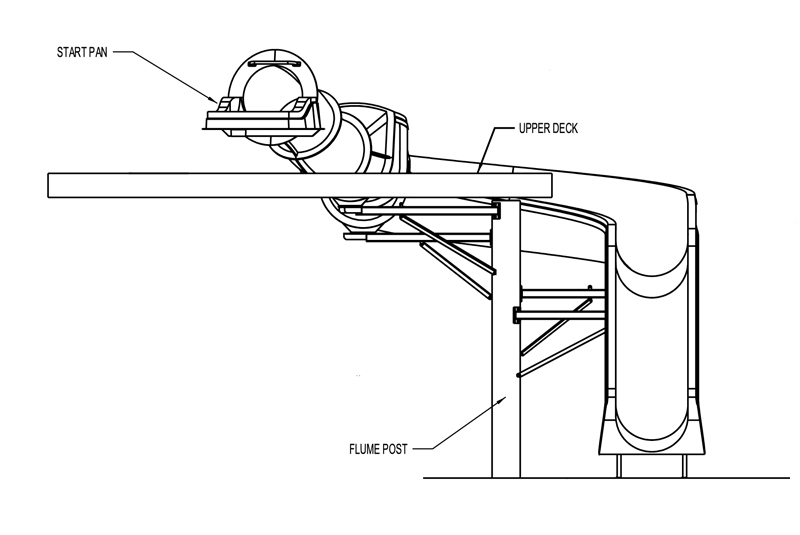 closed flume & 36" I.D. 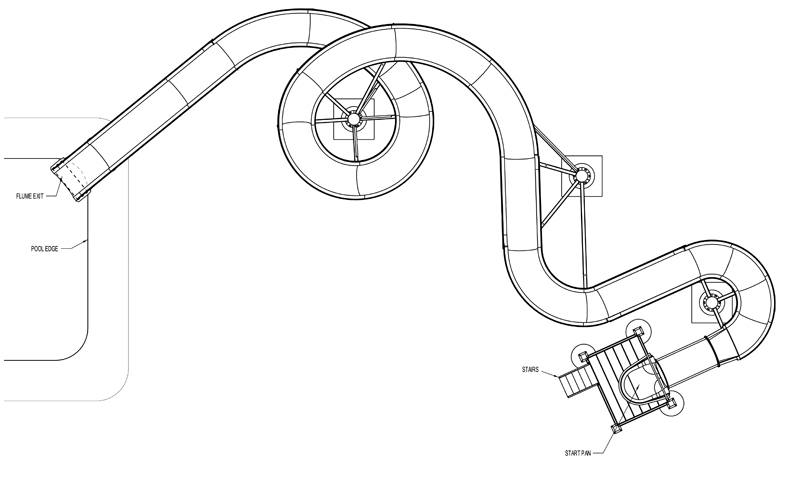 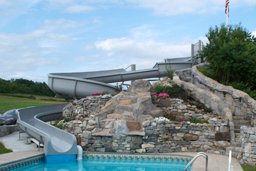 open flume fiberglass landscape slide featuring a 180° curve. 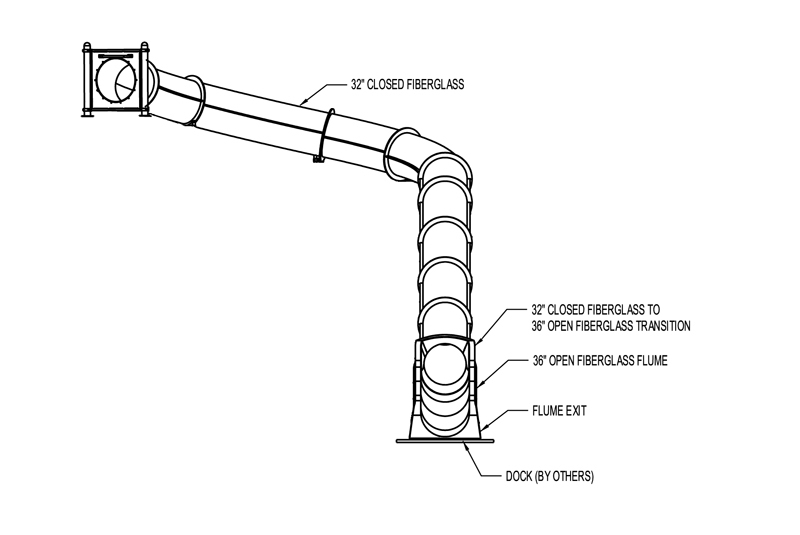 Space Requirements: 93' 11" x 23' 10" – Space requirements may vary with options chosen. 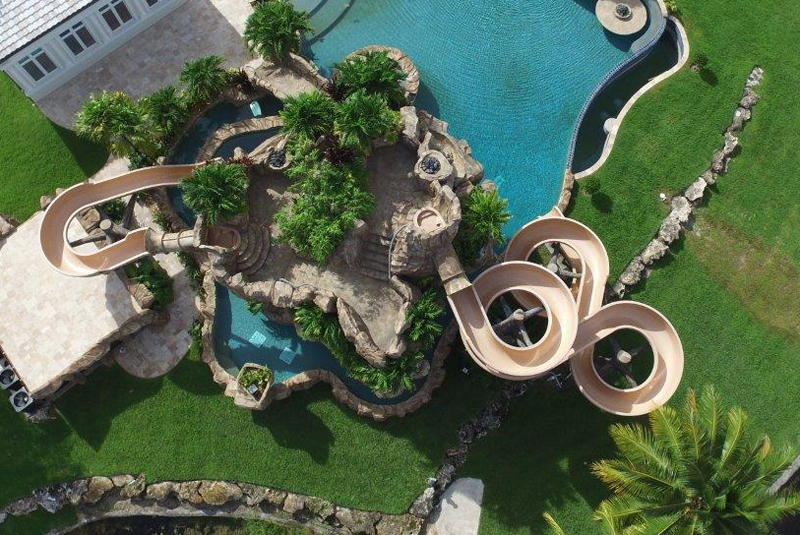 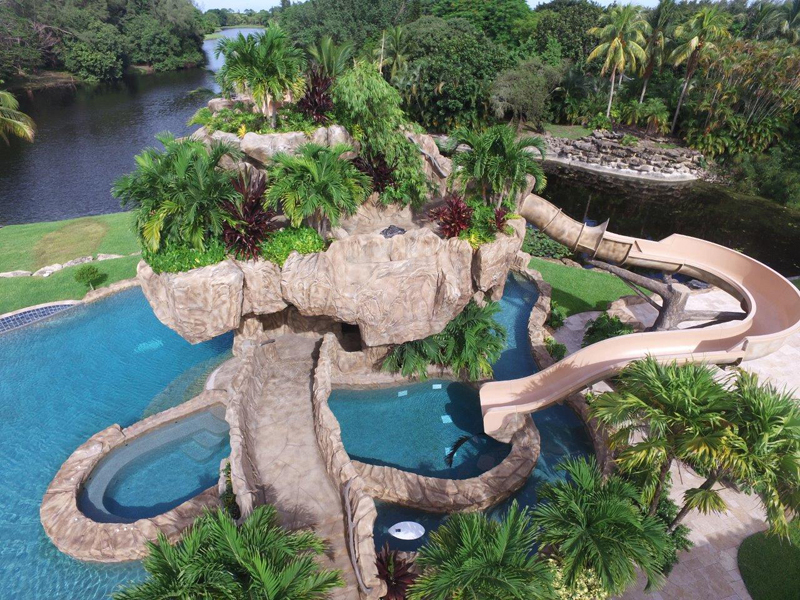 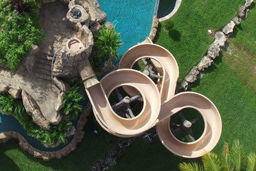 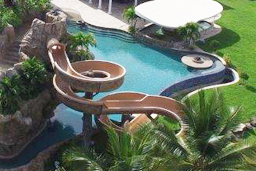 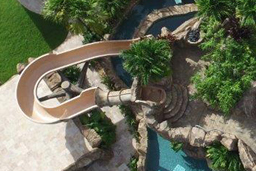 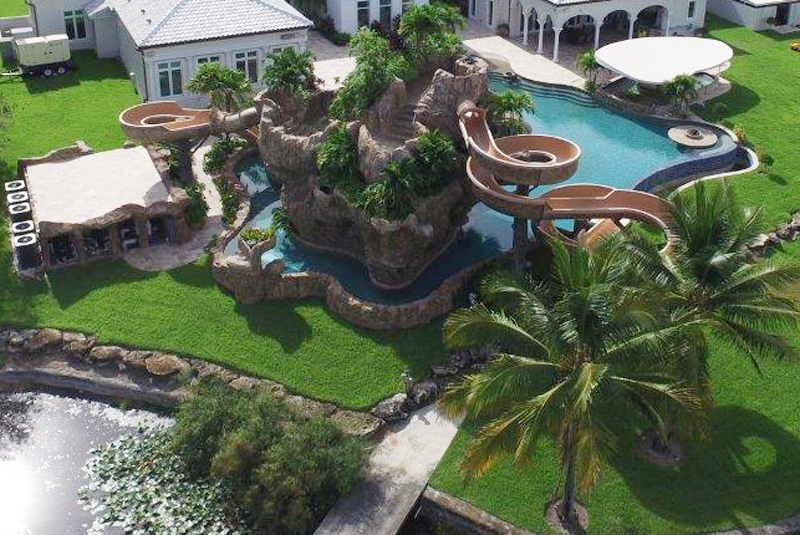 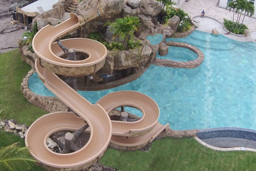 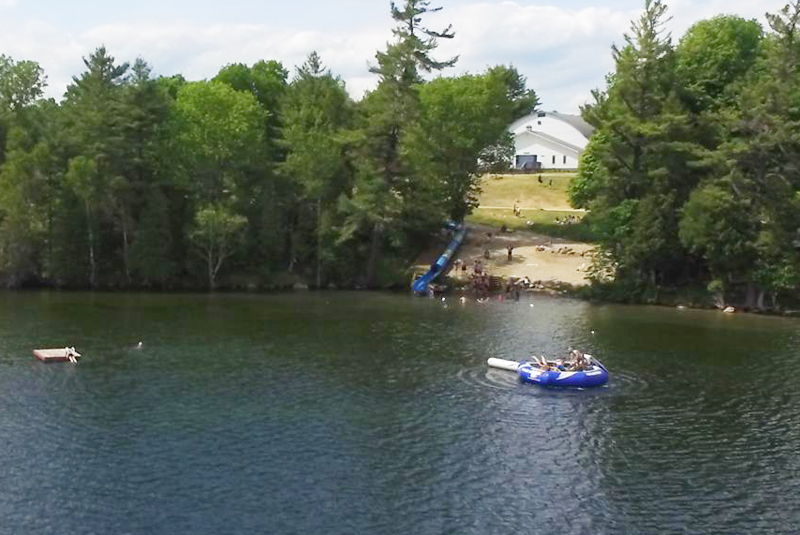 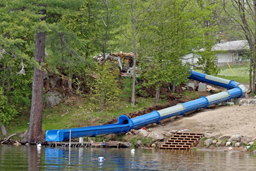 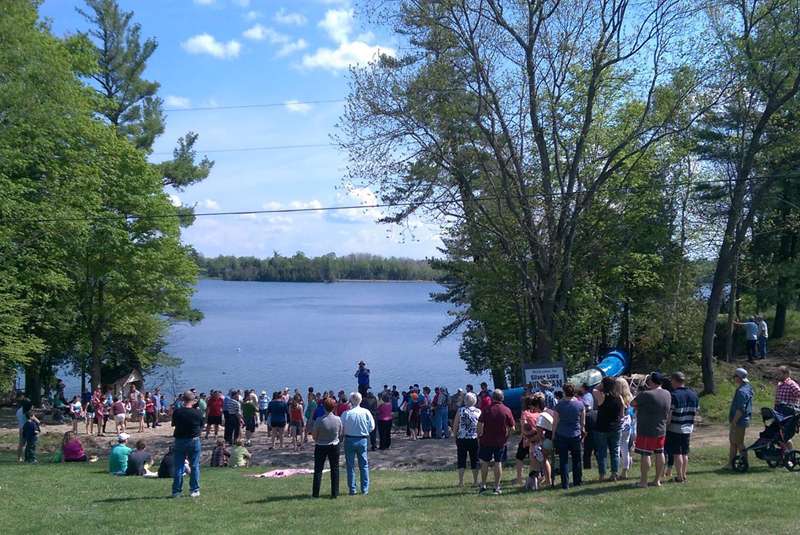 "We are very happy with our purchase of a 114 foot waterslide from Natural Structures. 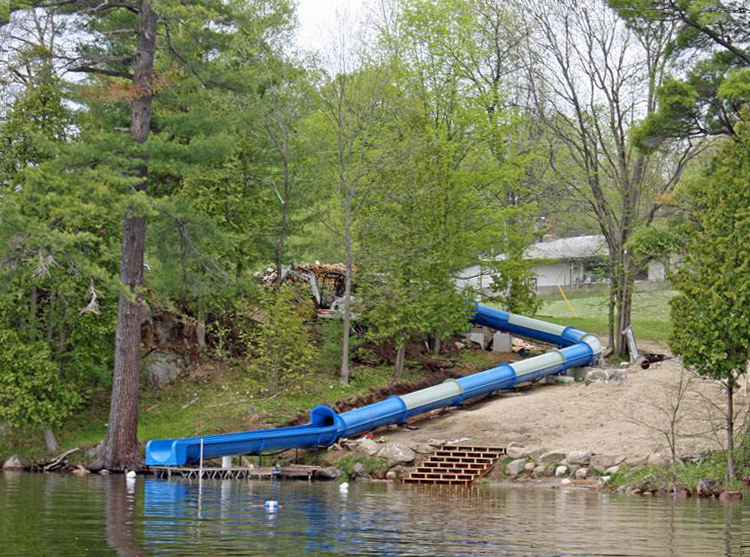 We had a couple retired men take three days to erect the slide. 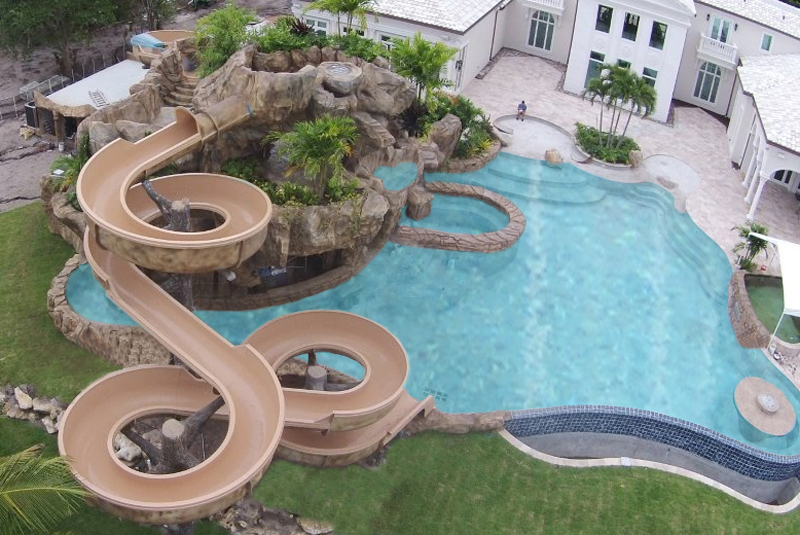 It went together like a lego kit and the quality of the slide was exceptional. 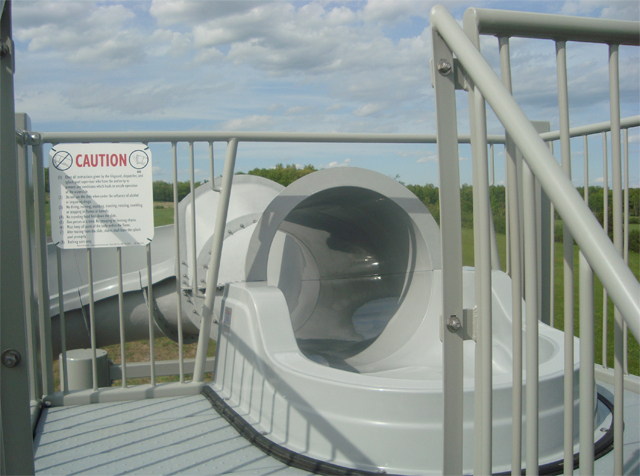 Our older teens and young adults are thrilled with the speed of the slide. 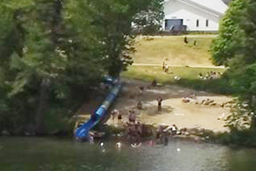 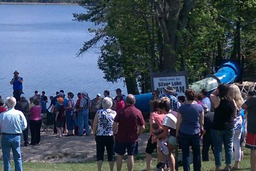 Bonus for us is that the slide spills into the lake!! 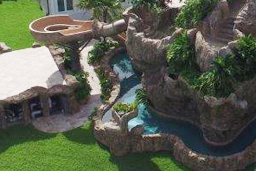 Thank you Natural Structures for this service to us." 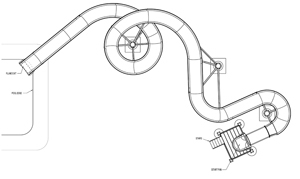 Description: Single 32" I.D. 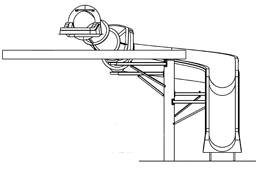 closed flume & 36" I.D. 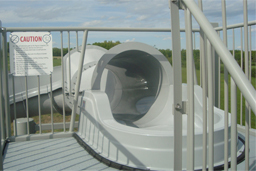 open flume fiberglass landscape slide. 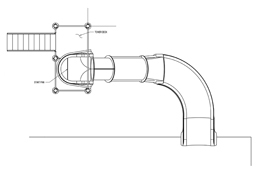 Space Requirements: 25' 7-1/4" x 13' 9-3/16" – Space requirements may vary with options chosen. 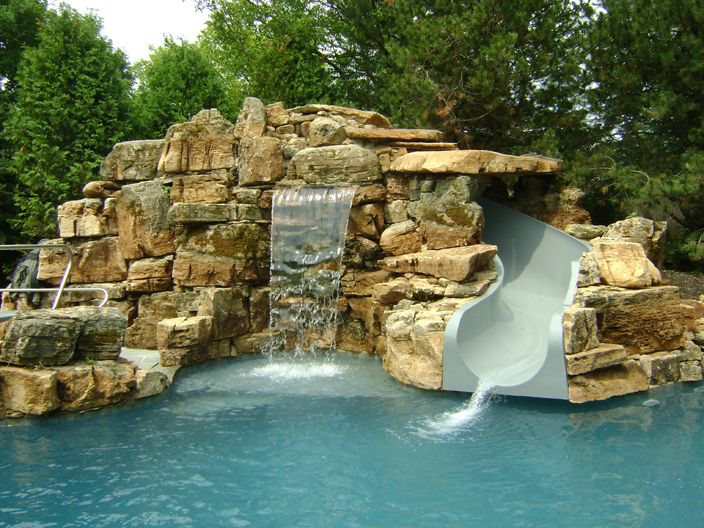 Splash down dimension: 12' 8" x 20' 0"
Landscape slides are an excellent way to increase the aesthetic value of your surroundings, while providing an exciting and fun water slide experience. 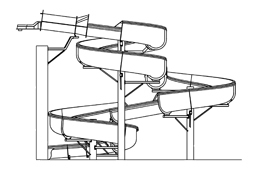 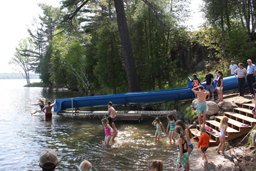 Slides are available in open, closed or closed/open combination flume(s) that can meander around the hillside for a range of 20' to 300' plus. 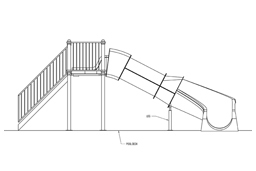 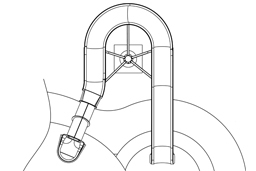 Factory assistance is available in determining the slide elevation, location, and radius. 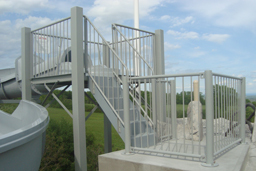 Stairs: 7” rise, 11” tread, 36” wide; Aqua-Plast coated textured aluminum surface; closed risers. 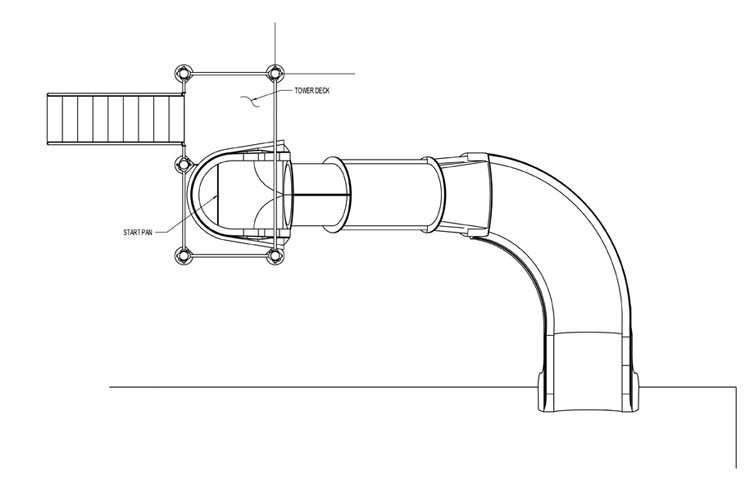 Designs for your unique application and budget requirements. 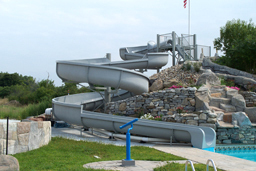 Deluxe Series: Stainless steel polyester powder coated except tower and flume posts which are mild steel with chemical resistant Aqua-Kote undercoating and polyester powder coat topcoat. 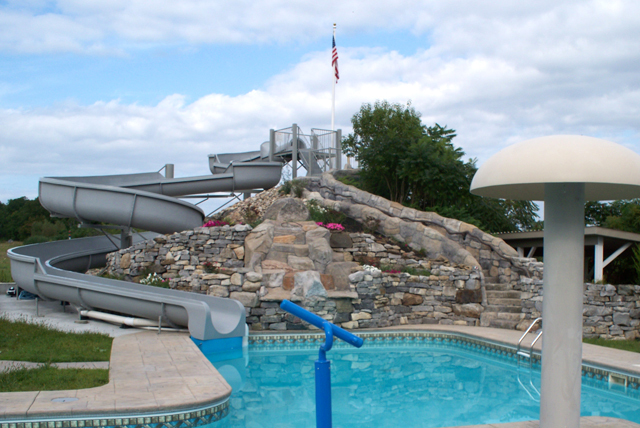 North Star Series: Mild steel with chemical resistant Aqua-Kote undercoating and polyester powder coat topcoat. 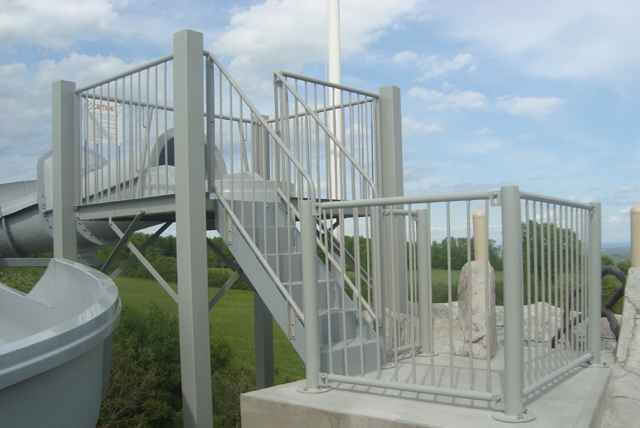 Note: Platform and stair treads are textured Aqua-Plast coated aluminum. 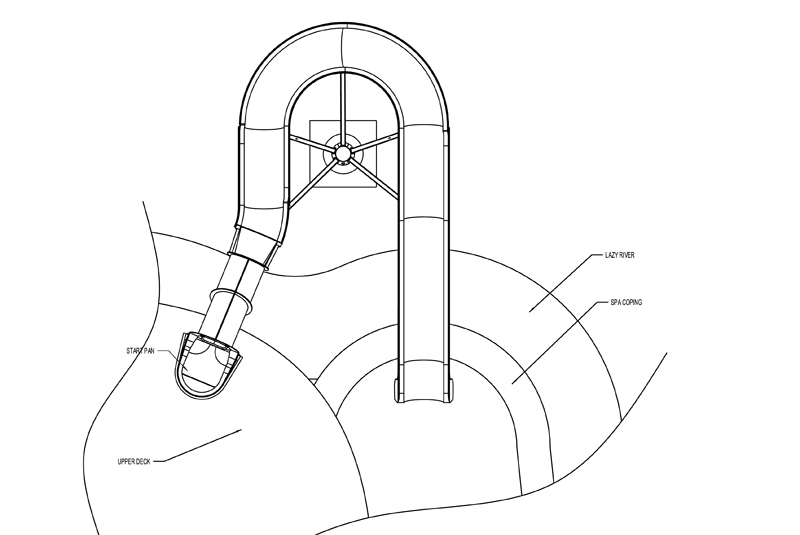 Gates: Locking gate to flume entrance. 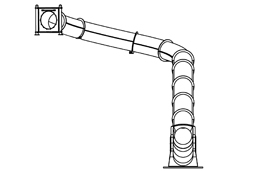 Tower Roof: (a) Steel; (b) Wood; (c) Fabric; (d) Tongue & groove decking with the wood or steel roofs.